Repix is an art photography app for iPhone and iPad by Sumoing that offers a unique experience of mixing painting with photo editing. Instead of simply adding filters, Repix includes a bunch effects that you can paint and mix and match onto specific areas of your photos. 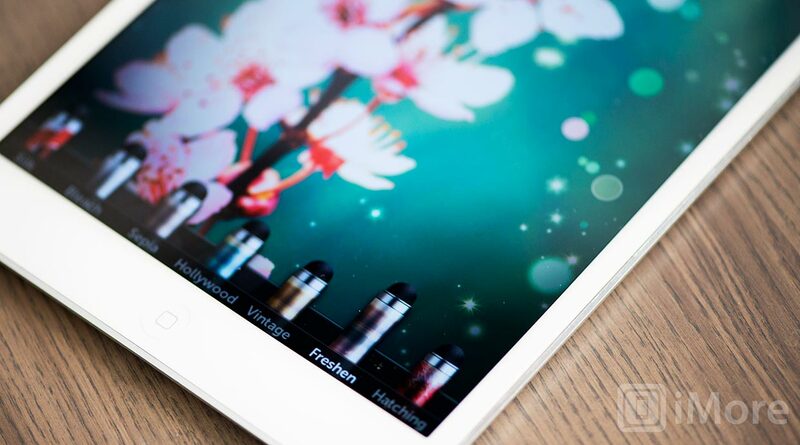 Repix comes loaded with a sample photo of flowers that you can play with to learn how to use the app. You can also load any photo from your Camera Roll, Photo Stream, or Facebook. Unfortunately, you cannot access photos stored in other albums on your iPad. 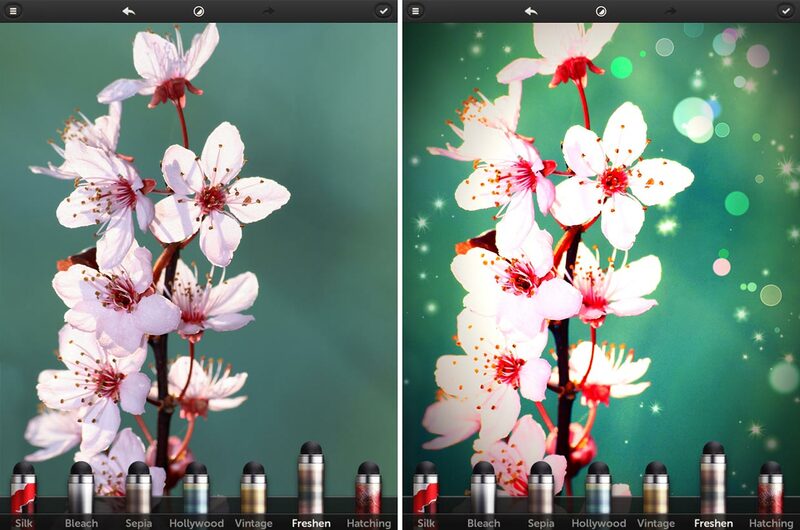 Along the bottom of the screen, you will find all the brushes available in Repix. To use them, simply make a selection and paint with your finger. The brush size is static, but zooming in and out of the photo will adjust its relative size to the photograph, allowing you to make fine adjustments or more broad edits. At the top of the screen is an icon that gives you access to more traditional editing: crop, brightness, contrast, saturation, vibrance, temperature, and vignetting. To apply the edits, you simply swipe your finger left or right across the screen to adjust its intensity. Repix comes stocked with many brushes for free. Additional brush packs are available as in-app purchases for $1.99 each, or $4.99 for the Master's Collection. 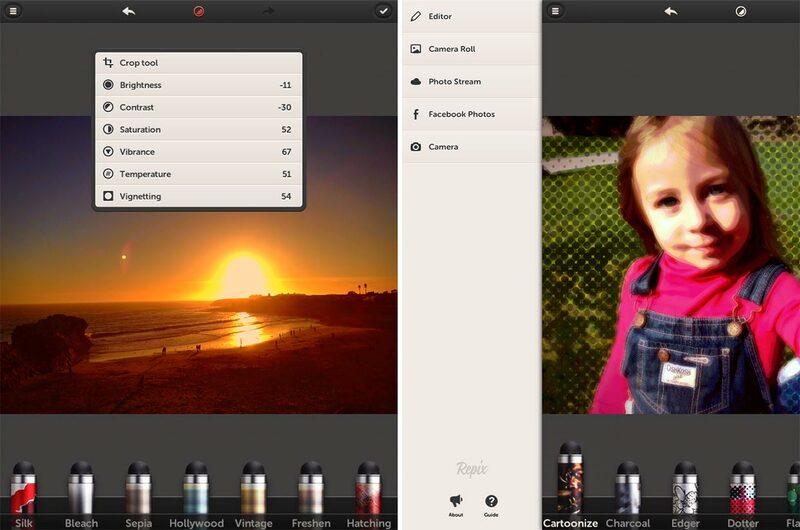 Repix is an awesome app for lovers of art and photography. It's extremely easy and intuitive to use. I'm no artist by any means and cannot really give Repix justice, but for those of you who are, I'm sure you can create some beautiful artwork with it. If you do, please share your work in our Photography Forum; we'd love to see it!